Christmas and winter themed events, virtual tours, skating, creative contests, parties, and dances have already hit the ground running in various grids. A number of grids are also offering you to hunt and win cash and other gifts, or buy lands at cheaper prices. 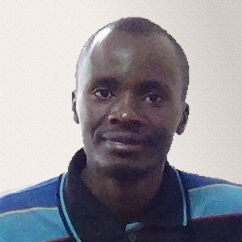 Many will also be hosting new year parties as the year comes to a close. Zangrid will host a Live Chrismas Tree Decorating contest on Tuesday, December 20 from 10 a.m. to 2 p.m. Pacific Time at the Ho Ho Ho. The event will bring together builders, designers and casual users who will be provided with a Christmas tree to decorate and will be free to dress it as much as they like, using prims without limits, and by uploading textures. All entries will be entered into a contest, with winners being announced after it is over. The top 4 winners will be paid through paypal: the overall winner will get 50 USD, second 25 USD, third 15 USD, and the fourth will go home with 10 USD. The hypergrid address is: hg.zangrid.ch:8002:Ho Ho Ho. A Christmas Hour will also take place this Sunday, December 18 from 11 p.m. to 12 p.m. Pacific at the Partyland region, featuring live performance with Khiron Ametza. The last Christmas Party of the year at Zangrid is coming on Saturday, December 23 from 10 p.m. to 12 p.m. SLT at the Partyland, featuring great music and a glass of wine to wish everyone a Merry Christmas. The grid will also host the End of Year Party on Friday, December 30 from 10 p.m. to 12 p.m. SLT at the Partyland, featuring music and a glass of wine to wish everyone a happy new year. The hypergrid address is: hg.zangrid.ch:8002:partyland. Greece region is also themed for Christmas and you can make Christmas Tours to many great places around the world, including the excellent attractions in Athens. The hypergrid address is: hg.zangrid.ch:8002:Greece. The grid has also announced, on its Twitter page, a winter sales offer of $5 monthly for 3750 prims. YRGrid is hosting a Christmas gift hunting event starting Wednesday, December 21 until Sunday, January 1 2017 where users can login and search for a Christmas Gift Box all around the grid. After finding the box, a user will win 1000 μBitcoins. 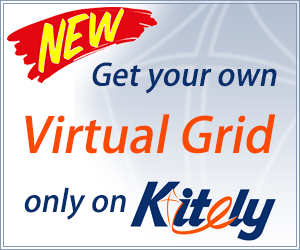 “We hope this will get more people to explore YRGrid,” YRGrid CEO Kit Myoo told Hypergrid Business. Christmas holiday also comes early for former users of Kaneva grid that is closing down, because YRGrid is offering them a special promotion this season after verifying that they are former Kaneva users. The hypergrid address is: grid.yrgrid.com:8002. Kroatan Grid will host the Kroatan Advent Calendar from Thursday, December 1 to Saturday, December 24 on Eternal Ice winter region where you can win free gift everyday. “Past gifts will be available at the two market stalls next to calendar until middle of January,” Hunt Manager at Kroatan Bink Draconia told Hypergrid Business. The hypergrid address is: kroatan.de:80002:Eternal Ice. Mobius grid will be hosting a New Year Bash on Saturday, December 31 at 2 p.m. PST at their new event region, and the event will feature music, Kart racing, and dance, among other events. Kart Race will be held same day at 7 p.m. PST and the winner of the new race track will get 1,000₲ prize while the person who takes the second place will get 500₲. The “Best in 90s” contest will be held same day at 3 p.m. PST and the winner will carry away 500₲. Seanchai Library has a Mystic Rule snow-filled sim dedicated for this holiday, with 100 booths during this holiday until Sunday, January 1. The sim is hosting a mini-hunt where you could win a surprise box, entertainment, rides, gachas, shopping, ice skating and dancing. The Library is also hosting the Winter Ice Christmas Festival 2016 featuring sky-rail, skiing, sledding, skating and a Santa sleigh ride. You can also attend concerts and host a romantic dinner in a Christmas restaurant. You can also enjoy a Winter Hunt for Team Fox where you have until Wednesday, February 15 to hunt for 34 free high-quality gifts in designer stores and shopping areas. You can also discover romantic hideways, ice skate, dance or ride horses in the winter wonderland. All the donations will go to Team Fox to Find a Cure for Parkinson’s. Other winter events to be hosted by the library include the LUNA Winter Fair 2016 for RFL that runs until Saturday, December 31, featuring a hunt, live music and deejays, a fun ride, ice-skating and snowboarding; and the 2016 Winter Showcase & Winter Art Show that runs until Tuesday, December 19 featuring music and live performances from 80 artists, DJeeing, two hunts and shopping. The hypergrid address is: grid.kitely.com:8002:Seanchai. The grid also has a Christmas themed region Christmas Island at Kitely. The hypergrid address is: grid.kitely.com:8002:CHRISTMAS ISLE. Adult Grid is hosting the Christmas Build Contest until Friday, December 23. They are giving out a 10 by 10 building area for free where members can build up to 500 prims using mesh and low tag scripts that do not cause lag. The hypergrid address is: theadultgrid.com:8002:Polynasia. The grid will also host a Reindeer Race on Wednesday, December 21 at 2.00 p.m. PST. Users can get a free reindeer, which they can modify to their liking and join the race. “The race is all about fun and to get to know the other Taggers or residents,” Adult Grid Co-founder Constanza Amsterdam told Hypergrid Business. Green World grid will host a Christmas Hunt and Freebies everyday starting today Sunday, December 18 from 8. 45 p.m. Pacific until Friday, December 29 starting at 9 a.m. Pacific Time, where you can win freebies and a puzzle part for the raffle of the main prize. You can win an audio stream with up to 50 listeners for your events for one year. The hypergrid address is: greenworld.online:9022:startPunkt. The World of Seasons region will also be decorated for Christmas this year. The hypergrid address is: greenworld.online:9022:World of Seasons. AllCity is also running a land sale this holiday season. 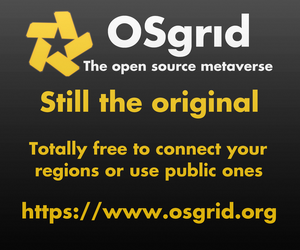 The grid is also giving away 10 free regions for users who sign up for new accounts before December 30. Users will be presented with gratuity for as long as the player remains on the grid. AllCity is also deploying the PODEX system, for creators and retailers and players. CreaNovale grid is themed for both winter and Christmas and visitors can enjoy skating, automated sleigh and cross-country rides, self rides in snow saucer and toboggan, a Christmas market, natural landscaping, a Nutcracker Hunt, from Sunday, November 27 to Saturday, January 7. Other things to enjoy include a lnuit art exposition, great ambiance and many freebies. They will also be adding a downhill ski soon. Great Canadian Grid is offering you a Christmas Special to buy 2 by 2 variable regions as well as commercial and residential regions for $15 CAD until Saturday, December 31. Those coming from Kaneva, another virtual world which shut down last month, are also invited to move to the grid, Roddie Macchi told Hypergrid Business. Great Canadian has had a moratorium on new region sales lately to help keep a small grid atmosphere. The hypergrid address is: greatcanadiangrid.ca:8002:Welcome. OSgrid has a Christmas themed region by the name That Place, which is hosting three themed attractions this Christmas season. It has the Captain Eo where you can get a Michael Jackson themed ride, That Place Theater which is currently showing Nightmare Before Christmas movie, and Star Tours where you can check the recreation of the Star Tours (Star Wars). The hypergrid address is: hg.osgrid.org:80:That Place. DigiWorldz will host a Christmas Party on Monday, December 19 from 12 p.m. to 8 p.m. Pacific Time at the Bandits South region, featuring an ugly sweater contest, ice skating, a gift exchange and Christmas seasonal music. The hypergrid address is digiworldz.com:8002:Bandits South. The Winter Wonderland is also already decorated for winter and you can enjoy wonder trips during this season. Once you arrive, a teleporter chooses your destination and during the travel, you can find Crossroads, a Tube Ride, Ice Skating, Ski Hill, Ski Lodge, and Ski Base as your options. The hypergrid address is: digiworldz.com:8002: Winter Wonderland. Exo-Life has eight regions in winter mode, and all are decorated for the holidays. Christmas Parties at the grid begun on Monday, December 12 but they are also hosting another Christmas Party on Wednesday, December 21 from 4 p.m. Pacific Time at the Central Plaza on the Garden Island hypergrid-enabled region, featuring self-guided tours, gifts and hangout. The Exo-Life Hanukkah Celebration will be held on Monday, December 26 from 5 p.m. to 9 p.m. Pacific Time at the Hanukkah Village on the Lost Sea East hypergrid-enabled region, featuring self-guided tours, gifts and a hangout. The grid is also hosting its New Year’s Formal Ball event on Saturday, December 31 from 6 p.m. to 10 p.m. Pacific Time at the Ballroom on the Grapefruit hypergrid-enabled region, featuring classical music and dancing. The hypergrid address is: hg.exo-life.onl:8032. Also for hypergrid travelers, the Hanukkah Village OAR will be displayed this year on the Lost Sea East region while the Winter Wonderland OAR will be displayed in it’s regular world location on Strawberry region. These OARs can be downloaded at the Exo-Life Creations download page. You also need to set your viewer’s ‘Sun Position’ to ‘Estate Time’ for best effects. Kitely is showing a range of festive freebies hidden away in the Green Dragon Tavern at the Worlds End Winter Showroom. Some of the freebies include Snowman, Crows, Snow Machine, Presents, and a Christmas Tree in the picture. You can also find free pre-configured scenes to create winter wonderlands. The event is open to all hypergrid travelers. The hypergrid address is: grid.kitely.com:8002:Worlds End Winter Showroom. Kitely will host the New Year’s Eve party at the BabbleOn at the Babbles Arts Center on Sunday, January 1 from 2 p.m. to 5.50 p.m. Pacific Time. The hypergrid address is: grid.kitely.com:8002:Babble Arts Center. The DreamNation grid is holding its fifth birthday celebration during this holiday seasons with the 2016 Winter Festival on Sunday, December 17 and Monday, December 18 and will be using the event or festival to encourage creativity among members of the grid. The hypergrid address is: world.dreamnation.net:8002. Tangle Grid is hosting a Winter EXPO until Janunary 13, 2017 at Expo Isle where participants will be free to place anything for everyone else to see. You can contact Leslie King at [email protected] if interested. The hypergrid address is: tanglegrid.net:8002:HG Station 1. Genesis MetaVerse will host a Christmas event from Friday, December 23 and a New Year event that doubles as the official grand opening ceremony on Sunday, January 1, 2017. You can watch out for their event page for details on date for the Christmas party. As the grid prepares for opening, it has revamped its system and server to look more promising, told Hypergrid Business. The hypergrid address is: genesis-grid.org:8002: Welcome Island. Littlefield Grid is hosting a Christmas Celebration from Saturday, December 24 at 8 p.m. PST and Sunday, December 25 at 8 p.m. PST at the Christmas Island. It will feature music, dancing, Christmas gifts and socializing. The hypergrid address is: hg:lfgrid.com:8002:Christmas Island. The region is already open and you can do ice skating, sleigh rides and other activities. 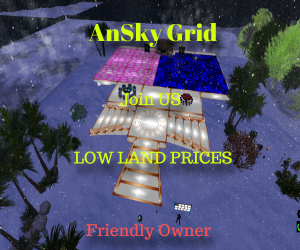 AnSky will be having Christmas dances from Thursday, December 22 at 10 p.m EST. 3rd Rock Grid hosted DJ Jeremy at 3rd Rock’s Christmas Celebrations on Saturday, December 17 from 9 p.m. to 11 p.m. AST featuring some classic rock and seasonal music. There will be an Annual Starfleet Christmas Dance on Monday, December 18 from 10 p.m. to 12 p.m. AST featuring music with Jeremy Nightshade as DJ for the event. The hypergrid address is grid.3rdrockgrid.com:8002:Starfleet Astraios. The Rosy O Grady Chritmas Show on the Ice Stage Vector will be held on Wednesday, December 21 from 1 p.m. to 2 p.m. AST featuring live performance with OGrady. The hypergrid address is grid.3rdrockgrid.com:8002:vector. Virtual Highway is hosting The Christmas Lounge on Tuesday, December 20 from 6 p.m. VHC and a host of music sessions on Sunday, December 25 from 2 p.m. VHC. Other places to visit for Christmas Parties, freebies, gift hunts and events during the season include Victoria, Amanda Island, Winter-Wunderland, Holiday Island, World of Seasons and Wonderland Park. You can also check this list for over 20 more options of regions you can visit. Space, a browser-based virtual world, will host a Christmas Party on Thursday, December 22 from 8 p.m. to 11 p.m. Eastern Time at the Winter Festival Aero Pines Park, featuring music with DJ Marvin of Sonic Waves Radio. Another Christmas Party will be at the same region on Friday, December 23 from 7 p.m. to 10 p.m. PST, featuring music with DJ The Sandman. Space is not an OpenSim world, but Adam Frisby, one of the founders of the OpenSimulator project, is also the CEO of Sine Wave Entertainment, the company that operates Space.